As Christians, we commit ourselves to getting to know God better and to living our lives in the way Jesus taught us. The place where we can find out more about what God is like and how God wants us to live is the Bible. Reading the Bible regularly and prayerfully helps us to grow closer to God and to grow in our discipleship. One wonderful way to do this is by reading the Bible alongside others and learning together. There are many opportunities to do this at one of our Fellowship Study Groups. But it’s also important for us, as individuals, to encounter God in the Scriptures as part of our daily discipleship. 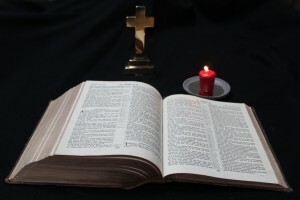 One good way to do this is to follow the readings that are part of Common Worship Daily Prayer. Alternatively it is possible to subscribe to one of the very user-friendly series of Bible Reading Notes produced by the Bible Reading Fellowship.